Safety product specialists, Dan Rossek and Richard Wilkins of Omron examine how safety can be an enabler for increased productivity and reduced total cost of ownership. There are few issues in machine design that are more emotively loaded than safety, and it is a subject that becomes increasingly complex with every passing year. Not only is it perceived as impacting negatively on productivity, but requirements are becoming ever more stringent and the numbers of people affected are increasing. Previously, the safety of the operator during normal production was the primary – if not the sole – focus of the machine safety system; however, it is now equally important to consider those tasked with maintaining, upgrading and repairing the machine throughout its entire life cycle. In short, safety now has a major impact on the total cost of ownership of the machine. A traditional machine development project might start with the mechanical design, move on to the control systems design, and finish with the safety system. Some of the safety technologies employed might be more sophisticated, but conceptually this approach has moved forward very little from a complete isolation of the entire power source of the machine. This can often cause problems of its own such as introducing new hazards to the machine, no longer having the capability of monitoring the moving parts of the machine, unnecessary loss of production time or increased wastage. But competition on an increasingly global scale has driven end user requirements for machines that minimise cycle times and reduce downtime. Both of these factors impact on safety; but is it possible to have a safe machine that operators can interact with more closely, or that engineers can repair or maintain perhaps without requiring a complete shut down and lengthy start up? With traditional approaches to safety, the answer is frequently ‘no’, and this is often where incentives to defeat the safety system arise. The ISO 14119 safety standard addresses this very issue. It specifies principles for the design and selection of interlocking devices associated with guards, and covers the parts of guards which actuate interlocking devices. In particular, it provides measures to minimise defeating of interlocking devices in a reasonably foreseeable manner, which is important when you consider that, in the event of an accident, it is likely to be all parties involved who will be investigated, including the machine builder, the end user company and the injured individual. Indeed, it is not inconceivable that all three could end up being prosecuted over a given incident. So why is the traditional approach to safety system design wrong? When you start with the mechanical system design, then move to the control system design, and only then look at developing the safety system in accordance with your risk assessment to conform with the Machinery Directive, then while you will most likely end up with a safe machine, you almost certainly won’t end up with an optimised machine. We’re not saying that safety is an afterthought in this process, but it certainly isn’t always an integral part of the design, and so it can do nothing to address user requirements for increased productivity, increased flexibility, improved OEE (overall equipment effectiveness) and reduced TCO (total cost of ownership). The problem arises because often safety is a specialist function within the machine design team. But if machine builders can take a multi-disciplinary approach to safety, and make it integral to all aspects of the build, then there are huge opportunities to develop not only better safety systems, but also safety systems which are readily scalable from one machine to another – improving the design and exceeding user expectations while actually reducing development time and costs. In the improved approach, you are doing a much better job of designing out the risk as you go along, which can mean that the required safeguarding can be a much more elegant system. The machine can be more efficient and give greater flexibility. Operators can interact with it more confidently and more closely, potentially giving huge reductions in cycle times. 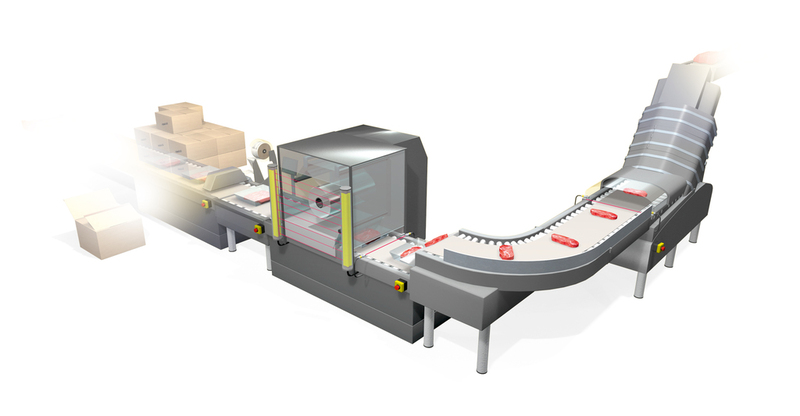 Rather than stopping the entire machine to clear a jam, it may be assessed that it would be more appropriate to isolate the hazards in the particular zone where the blockage has occurred, allowing the operator to rectify the problem safely without halting the entire production line. Considering safety right from the very beginning of the machine design project also helps to clarify thinking of what level of safety technology might be required. If only a few safety functions are needed, control built around a few safety relays may well be the most appropriate solution. 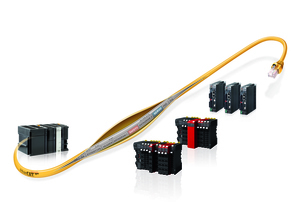 For a greater number of safety functions, a standalone safety controller might provide the best option. Where the application involves a large machine or a complete production line, a safety PLC that looks and feels more like a conventional control product and which integrates more closely with the wider control system will probably be the best solution, offering the greatest number of safety functions through near-unlimited safety I/O. Most importantly, an integrated approach to safety gives designers far greater freedom to address the questions which will impact on machine flexibility and user productivity: does the machine always need to be completely isolated to facilitate user interaction? Does the machine need to stop at all to enable a simple repair? Can the safety system contribute to improved OEE and reduced TCO? And does it remove functional restrictions while actually increasing safety? By moving away from the conventional approach to safety system design and taking a multi-disciplinary approach right from the very start of the machine development processes, machine builders can tick all of these boxes, whilst reducing costs and development time, and potentially realising a massive competitive advantage.